This week, we’re featuring a guest post by Mark D. Shifton and Russ M. Patane. The two are writing about an unreported decision issued last year in which the United States Court of Appeals for the Fourth Circuit reversed a District Court’s decision granting summary judgment in favor of a building product manufacturer. Chesapeake Bay Foundation, Inc. v. Weyerhaeuser Co., 580 Fed. Appx. 203 (2014). On its surface, this decision – in which the primary issue was the accrual of a building owner’s claim for statute of limitations purposes, and whether alleged misrepresentations on the part of a manufacturer served to toll the running of the statute – bears little difference to numerous other run-of-the e-mill construction defect cases. This, however, was no ordinary building – it was the Philip Merrill Environmental Center, headquarters of the Chesapeake Bay Foundation, and the world’s first LEED Platinum Building. The Center’s environmentally sustainable qualities, while not necessary to the analysis of the case, are nonetheless very significant because they serve as an excellent example of how the unique nature of green building projects may likely prove to be the subject of ever-increasing litigation, especially on issues related to premature failures of building components, and the possible effects such failures may have on the accrual of construction defect claims for statute of limitations purposes. The Chesapeake Bay Foundation, wishing to design and construct an environmentally-friendly building, contracted with SmithGroup (the Architect) and Clark Construction Group (the General Contractor). The Center’s design included the use of recycled and environmentally-friendly materials, including a series of exposed wood columns and beams (called Parallams) to be integrated into portions of the building’s roof and façade. Clark purchased the Parallams from Weyerhaeuser. To protect the exposed Parallams, Weyerhaeuser treated them with a wood preservative called PolyClear 2000. Shortly after construction was complete, the Center began to experience water infiltration issues. In May 2001, an expert retained by Clark opined that the use of Parallams as exposed elements was problematic because they were inherently difficult to seal, and did not appear to be pressure-treated and sealed in certain areas. The expert concluded these deficiencies could result in accelerated deterioration of the Parallams. Clark retained another expert in 2002, who concluded the Parallams were beginning to split and become out of plane. After being provided with the 2001 and 2002 reports, Weyerhaeuser participated in remedial efforts, which included re-sealing the Parallams. Remedial efforts ended in 2004, and Weyerhaeuser assured the Foundation that the Parallams had been properly treated and were an appropriate product for their intended use. During an annual inspection of the Center five years later, the Foundation discovered that the Parallams were rotting and needed to be replaced. In January 2011 (just shy of ten years after receiving the 2001 Report), the Foundation filed a construction defect action against Weyerhaeuser, alleging that Weyerhaeuser failed to adequately seal the Parallams with PolyClear 2000, improperly selected PolyClear 2000 as a preservative, and misrepresented to the Foundation that it had properly treated the Parallams (or concealed the fact that PolyClear 2000 was an inappropriate preservative). Chesapeake Bay Foundation, Inc. v. Weyerhaeuser Co., 848 F.Supp.2d 570 (D. Md. 2012). After a brief period of discovery, Weyerhaeuser filed a motion for summary judgment, arguing that the Foundation’s claims were barred by Maryland’s three-year statute of limitations. Maryland’s three-year statute of limitations is subject to the “discovery rule,” whereupon a cause of action will be held to accrue when the claimant in fact knew, or reasonably should have known of an alleged wrong. In opposing Weyerhaeuser’s motion, the Foundation advanced two primary counterarguments. First, it argued that its cause of action did not accrue until 2009, when the Foundation first learned that the Parallams were actually rotting. Second, the Foundation argued that Weyerhaeuser’s misrepresentations to the Foundation, namely that the PolyClear 2000 was the proper preserving agent for the Parallams, served to toll the running of the statute of limitations. The District Court rejected both arguments and dismissed the Foundation’s Complaint, holding that the 2001 Report had provided notice to the Foundation that the PolyClear 2000 may have been an improper product, and that there was potential for the Parallams to rot. Furthermore, the Court noted that the 2002 Report clearly indicated existing damage to the Parallams, and thus the Foundation was on notice not only of the potential for the Parallams to rot, but that the deterioration process had already began. Further, the District Court rejected the Foundation’s arguments that Weyerhaeuser’s misrepresentations tolled the statute of limitations, noting that the Foundation had been alerted to the fact that the PolyClear 2000 might have been an inappropriate product by virtue of the 2001 and 2002 Reports. Accordingly, based on the reports of the Foundation’s own experts, the District Court held that the Foundation’s cause of action against Weyerhaeuser accrued in 2001 (and no later than 2002), and the statute of limitations on the Foundations claims against Weyerhaeuser ran in 2004 (and no later than 2005). In July 2014, the United States Court of Appeals for the Fourth Circuit reversed the District Court, finding an issue of fact as to whether the Foundation’s knowledge of water infiltration issues in 2001-2002 would have put it on notice that the Parallams were susceptible to premature rotting. Chesapeake Bay Foundation, Inc. v. Weyerhaeuser Co., 580 Fed. Appx. 203 (2014). The Fourth Circuit noted the Parallams (when exposed to the elements) were expected to retain water. Accordingly, the issues of whether the Parallams were properly treated so as to avoid rot, and whether they were properly sealed so as to prevent water infiltration into the Center were two distinct issues which the District Court confused. Reversing the District Court, the Fourth Circuit noted that the lower court “confused one harm – water infiltration through the exterior Parallams into the interior of the [Center], which was known to everyone in 2001 – with another harm – potential wood rot in the Parallams.” Accordingly, while the Center had actual notice of water infiltration issues, there was an issue of fact as to whether such notice was sufficient to put the Foundation on notice that the Parallams were susceptible to rot. Significantly, the Fourth Circuit observed that while both 2001 and 2002 Reports noted that the Parallams were susceptible to rot if not properly treated, neither Report opined that Weyerhaeuser’s use of PolyClear 2000 was inappropriate. Finally, the Fourth Circuit noted that there was an issue of fact as to whether Weyerhaeuser’s alleged misrepresentations (or concealment that PolyClear 2000 was an inappropriate product), frustrated the Foundation’s ability to discover its claims. Ultimately, the Fourth Circuit declined to toll the accrual of statute of limitations, and remanded the matter to the District Court, where, as of the date of this writing, it remains active on the District Court’s docket. At first glance, this litigation appears fundamentally similar to any number of other complex construction defect cases. 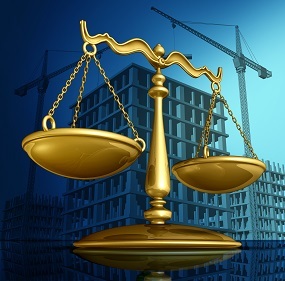 Yet, while the overall legal issues in dispute are common, the underlying facts which gave rise to this matter illustrate the construction problems and resulting legal issues that may arise on sustainable projects, particularly when employing novel and untested building products or construction techniques. Here, the use of exposed Parallams was likely one of a dozen design choices made by the design team in an effort to bolster the environmental performance of the Center (not to mention gain prestige as the world’s first LEED Platinum building). Unfortunately, this product lacked the time-tested track record enjoyed by more commonly used building components. 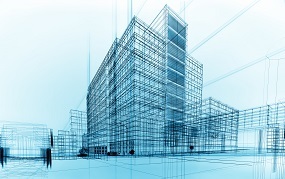 As the number of “green buildings” being constructed continues to increase, and the ever-evolving LEED certification standard continually encourages design professionals to “push the envelope” in employing novel, environmentally-friendly (yet possibly untested) construction designs, practices, and products, parties are more likely to face unanticipated and premature failures of building components. While the “instant gratification” of achieving target certification levels is alluring, the design team must consider the viability of new construction practices and ultimate performance of untested building products to ensure that the project’s long-term intended use is met. Inevitably, the lines will get blurred, and situations such as that presented by theChesapeake case will continually arise. Moreover, given the promulgation of the collaborative “Integrated Project Delivery” approach often employed on “green” projects, it is conceivable that in situations involving construction issues such as those experienced at the Philip Merrill Environmental Center, owners and their partners in the construction process will very likely engage in cooperative remedial efforts to solve the problem, rather than turn immediately to litigation. For better or worse, owing to the unique and novel nature of many green building concepts, owners, design professionals, and contractors who employ cutting-edge designs and new, untested building products are likely to be confronted with premature failures of those components, as is inherent in any complex system before the “kinks” are worked out. Such situations, however, may present difficulties down the road, particularly in jurisdictions with shorter statutes of limitations. In those instances, parties may be compelled to enter litigation more quickly, particularly in light of the uncertainties regarding the discovery rule and when construction defect claims accrue. Fearful of these open questions, the parties may be forced to enter litigation solely to preserve their potential claims before the statute of limitations expires. Thus, the Chesapeake Bay Foundation’s Philip Merrill Environmental Center may serve somewhat as a cautionary tale; while the rapid expansion of green construction represents an exciting and noble goal, it may portend increased litigation for owners, design professionals, contractors, and manufacturers of building products, as they continue to deal with untested building products and green construction designs with increasing frequency. Mark D. Shifton is a Partner in the Princeton, New Jersey and New York City offices of Seiger Gfeller Laurie LLP. He represents owners, design professionals, and contractors in construction disputes, and advises and represents clients on sustainable development and “green” building issues. Mark can be reached at mshifton@sgllawgroup.com. Russ M. Patane is a Shareholder in the Bridgewater, New Jersey office of Golden, Rothschild, Spagnola, Lundell, Boylan & Garubo, PC. He represents a wide variety of clients in matters arising from construction related claims in both New Jersey and New York, including matters arising from sustainable construction practices. Russ can be reached at rpatane@grsl.com. Want more information on green risk management strategies? Contact the construction insurance experts at BNC.